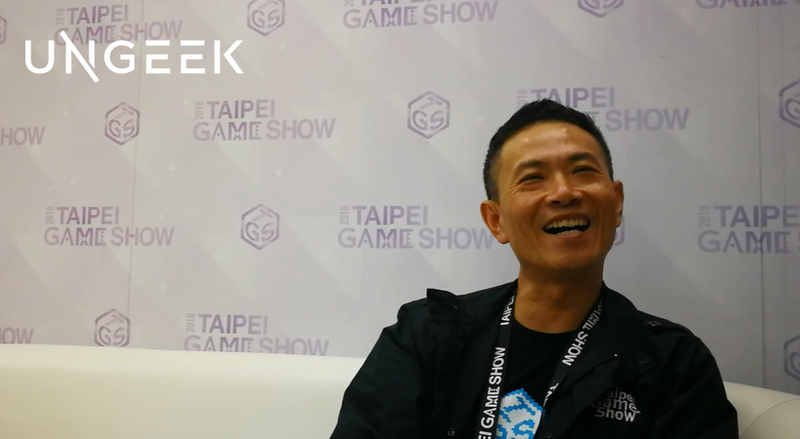 On the 2nd day of the Taipei Game Show 2018 we had the privilege of having to sit down and talk to Mr. Jesse Wu, Chief Executive Officer of the Taipei Game Show Committee. This is the guy responsible for making this mega event in Asia possible – and one of the coolest CEO’s around, mind you. Dawning dark denims, convention shirt and a rather thin sports jacket amidst a damp 14°C rainy Taipei afternoon, Mr. Wu’s relaxed demeanor created a warm atmosphere so we could chat the afternoon away. With us in the room was Ralph Nicolo Manaloto of GG Network, also part of the Philippine Media contingency that flew to Taiwan to cover this prestigious game show. What we got from a quick 20-minute chat would help solidify the idea that while Taipei Game Show isn’t the biggest gaming convention in Asia (it certainly is one of the larger one, though), it is an enormous platform especially for independent developers and those looking for creative collaborations. Ungeek (UG): Tell us how the Taipei Game Show grew from what it was back then to where it is now. 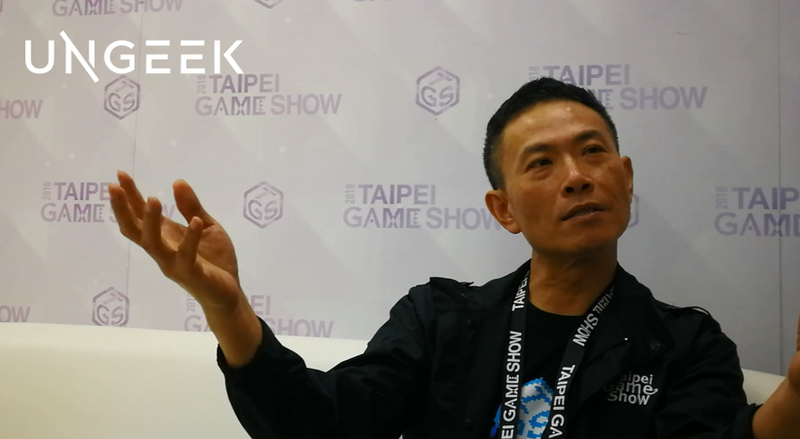 Mr. Jesse Wu (JW): Taipei Game Show has been growing for 25 years now and when it started it wasn’t this big yet. In fact the name Taipei Game Show just came about around 16 years ago. Before that it’s called the Taipei Multimedia Show. When it started we had around only 400 booths or around 60-70 exhibitors. And back then the focus is really more on hardware components and brands like Acer and Asus and gaming is only a small part of the show. When the market became bigger, we saw to it that it needed its own show (and venue). GG Network (GG): When it was originally conceived, the Taipei Game Show was aimed at solely the Taiwanese Market. But as the years progress and especially now, we’ve seen it open to a more International Audience. Can you tell us how this came about? JW: 8 years ago the B2B (Business to Business) zone was established and around 5 years ago the Indie Game Development area was opened. 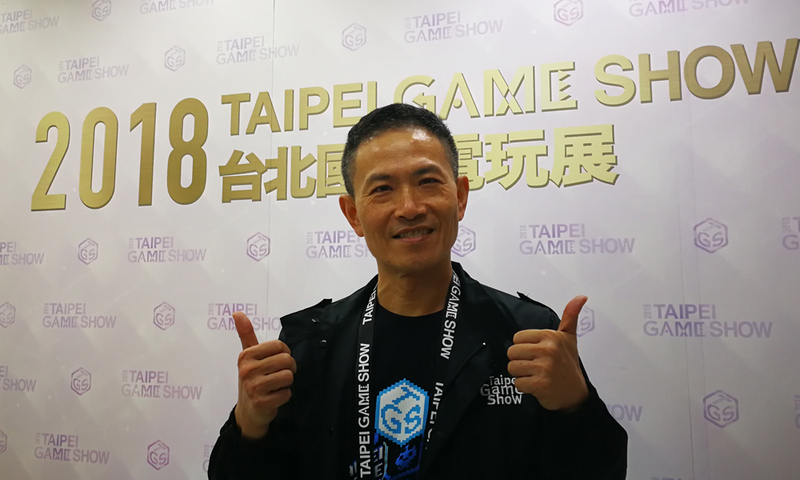 These 2 factors helped open the Taipei Game Show to more markets outside of Taipei and why the global media and developers suddenly took notice of us. Ungeek: I love the idea that Taipei Game Show is now opening the show to a more global market. Are there any plans of cooperating with other game shows outside of Taipei? JW: Actually, Taipei Game Show has had cooperation with various game shows across Asia like ESGS, Game Start, G-Star and Tokyo Game Show. We’ve collaborated with 7 countries to take their indie teams that we can showcase here. Ungeek: What’s next for Taipei Game Show, what can people expect for 2019? JW: For the B2B zone, we just wish to continue expanding the exhibitors and creating better business matches. The dream, really, is for an indie game to catapult to great success using Taipei Game Show as the launch platform. If people can say that the such a game came about (due to good business matching) from Taipei Game Show, I’d be very happy. For B2C (Business to Consumer – or the main hall), we want to people to see Taipei Game Show not just a game show that’s focused on the Taiwanese market but as a global event where we can share the experience with people even outside of Taipei. This is where social media, international publishers like yourselves, will greatly help us in achieving this vision. Interestingly, while Taipei Game Show has been running for around 25 years, this is the first time that a lot of international media flew in to support and cover such an event. Sir Jesse even comments how media and organizers from other countries like those of Tokyo Game Show were shocked to see international media covering the trade show as well. This collaboration from various international outfits is warmly welcomed and Sir Jesse hopes to see more of this in years to come! And from what we saw during the 2018 Show, we’re expecting more massive booths, exhibitors and developers flock the Taipei World Trade Convention Center for the 2019 Taipei Game Show! Heck, we’re already blocking our calendars for it as well! Previous articleRUMOR: Fans Rejoice! Some of your Favorite Overwatch Voice Actors are coming to the PH! Next articleWho is the Black Panther? Here are 4 Facts you NEED to know before watching the film!